Abstract: This paper deals with question of the link between philosophy and linguistics. By philosophy we mean mainly the so-called “analytic” tradition, while by linguistics we mean lexical semantics. The idea defended here is that a generative lexical semantics approach, which is systematic and totally explicit, grounded on the notion of object class defined through a set of appropriate predicates, can elucidate the schemes of our natural ontology. 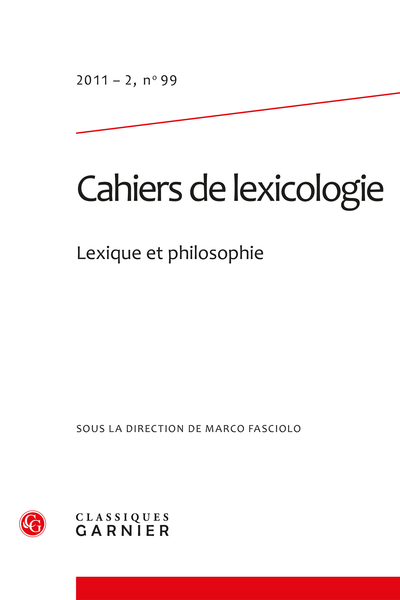 In this sense, this article proposes a philosophical lexicology as a method for descriptive metaphysics.